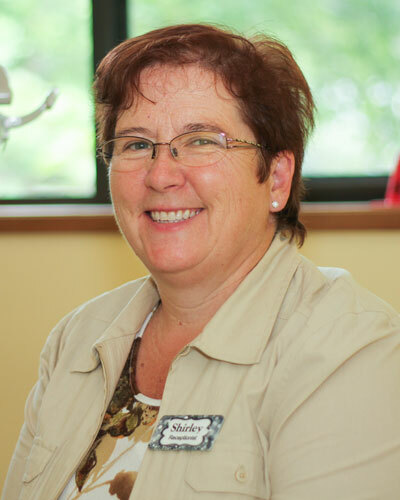 Shirley has been the front office 'welcome committee' for over 11 years and loves to talk to our patients and make them feel at ease and comfortable at their dental visits. She grew up in Sicamous from the age of 7 back when houseboats and the beach park were not discovered yet. In her teens she made a small fortune babysitting almost every youngster that lived in Sicamous. It was a great place to grow up! Over the years she discovered she had a knack for working with numbers and got her training being organized as a parent fundraiser in the school system. She has mastered the art of staying calm and happy in the midst of multi-tasking to keep the clinic running as smoothly as possible. She will provide you with estimates based on treatment plans and relying on her years of experience she can help you understand the quagmire of your dental insurance policy! Dr. Wang is a graduate from the University of British Columbia for Microbiology and Immunology, in addition to Western University's Schulich school of Dentistry for Dental Surgery. Guessy is a detail-oriented expert in precision. Her career, expertise and published research allow treatments to be performed quickly with as little discomfort as possible. Dr. Wang also has a natural spirit for children, and is happy to accept patients at (almost) all ages. The staff and patients enjoy her spontaneous laughter and sense of humor. Dina was born and raised in Revelstoke but spent many a weekend at the family cabin on Mara Lake. She moved to Sicamous in '93, married in '96 and went on to have 3 wonderful kids. On top of raising her family she kept herself busy with different careers until starting her 'dream job' as a dental assistant in 2013. She is caring and compassionate and strives to provide quality care to make patients feel comfortable and at ease throughout procedures, holding a hand and giving out hugs when needed. Dina loves to see the faces of our youngest patients light up when she creates balloon animals! Dina treasures her spare time spent with family, sports, board games, watching movies and 'playing' at the cabin on Mara Lake. She enjoys quilting, baking, puzzles and crafting. Being part of a team that values exceptional care for our patients at Sicamous Dental makes her proud to come to work everyday! Jeannette was born and raised in the Eagle Valley and doesn't dream about living anywhere else! She has been our dental assistant for over 16 years. She values the friendships she has built over this time with staff and many patients. They are her family away from home. Jeannette's compassionate nature makes her a natural working with patients of all ages. She especially loves our seniors! In her spare time she treasures being with her husband, kids and grandkids and sometimes has been spotted on the back of a Harley! She is well known for her exceptional skills as a seamstress. Her creative talent with gowns has helped grace the stage at many Eagle River Secondary Graduation ceremonies over the years. It is important to her to provide a caring and efficient dental experience for all our patients. it makes her love coming to work everyday. Elizabeth is our registered dental hygienist and has been an important member of our dental team since the spring of 2016. Elizabeth was born in the Yukon Territory and moved to Sicamous after spending some time in the Kootenays. She began her dental career as an assistant for 7 years before completing her certification for dental hygiene. 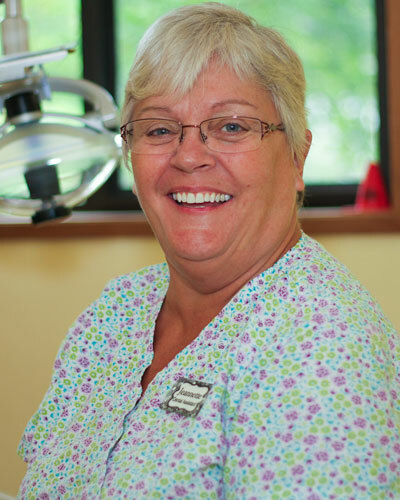 Elizabeth is gentle and proficient in all areas of hygiene, bringing over 21 years of expertise to our patients. She likes to bike and hike and other various outdoor activities. Elizabeth and her lovely dog "Diva" spend enjoyable hours at the local dog park, beach and walking local trails. Living in a small town is her favorite place to be! 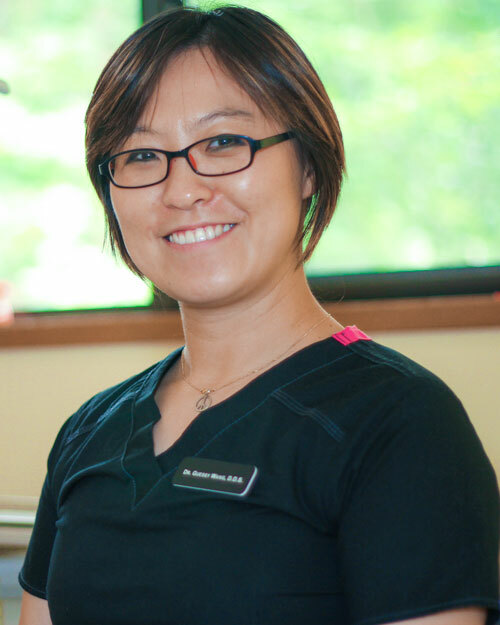 She enjoys meeting our wonderful patients and living in the friendly community of Sicamous. Sicamous Dental is located at the intersection of Sushwap and Mara Lake. Creating smiles between Salmon Arm, Revelstoke and surrounding area.